Second, I’ve been wanting to do a comparison video for a while between the TYT MD2017 and the Retevis RT-82 dual band DMR HTs, which are essentially the same radio. They both take the same CPS, cable and codeplug, but there are minor hardware differences between them. Finally, I had the privilege to debut the newest version of the TyToolz from KG5RKI for the dual band DMR HTs. Just recieved my licence. LU1VLP. I am from Argentina btw. I have the first DMR id of my state. Would like to participate for the radio. Hey, Jason. Thanks for another great video! I have really enjoyed learning more about amateur radio from your videos. 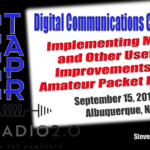 I’m a new ham (just received my ticket on the the 18th of October) and am in the process of learning as much as possible about all of the different ways you can communicate on amateur radio. I’d love to have a chance to learn more about DMR and to get a chance to talk to other hams in the area. Hi Jason. N5XQK here. 3140056 and 3140072. As you can tell from my subscriber numbers, I’ve been a DMR user for quite a while. I also run something called Ham Rescue. On Facebook under Ham Rescue N5XQK. Myself and several other hams in “Green Country”, NE Oklahoma help out hams that can’t do the things they once could. Either due to being too old or infirm or just can’t do “stuff” any longer, my friends and I help them out. Often times I find myself in places where communications are difficult so I’ve taken to using an Openspot but I can always use a handheld while I’m not in the vehicle. That’s why I think you should give me the Retevis RT-82. By the way, that was me that came by and shook your hand at the beginning of your video cast at MTC a couple of weeks ago. I’ve been following your channel for a while on YouTube and I’ve seen all the DMR videos looks pretty cool….my ham buddies say I am a die-hard analog guy . 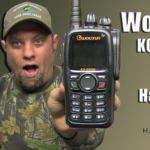 I’d like to get into DMR and see what it’s all about but I just can’t get myself to get a DMR radio…The wife is in college full time and works full time so we are always on the radio for quick conversations …shes is kd2dka and loves vhf and uhf… she studied in Vietnam awhile back and communicated via echolink all the time… I’d like to give DMR a shot with me and my wife to see what its about…she would love to get into DMR as well…. I’m DH9RD and obviously from Germany. My DMR-ID is 2638105. Currently I do not own any transceiver, just a cheep SDR receiver (DVB-T USB device). I’ve got my license last autumn and now I’ve more spare time available and want to start with DMR. With the SDR receiver I follow FM and DMR for some weeks but want to do my own QSOs, not just hear others. I would really love to get the RT82 to finally start with amateur radio. BTW: I following your channel for quite a while and for a newbie like I am HamRadio 2.0 is a very good information source with these reviews and comparison. Please keep going on with this *thumb up*. Hello Jason, KC8EVS. We met at Dayton (Xenia) last summer. I picked up a MD 380 there from MTC. I have enjoyed the radio and has got me started with DMR. I’m looking to up grade to a dual band and the RT-82 would do nicely. If I were to be your choice I would give my MD 380 away to one of our new hams next year when they pass their exam. We have a tech class every winter starting in January, testing the last of February. Keep up the videos and good luck deer hunting I just watched a ten point walk my daughter’s pool here in Ohio, not 15 yards from the house. This is KU4ZD, Mike. I am fairly new to DMR and just learning. I applied to get a ID but did not get equipment right away. I have been a ham a long time but just getting active in DMR and learning. I was really impressed with your video and the Retvis HT. I really could use the HT that will let me work the repeaters in the area and I have a Openspot I am setting up. I try to share what I learn with others, do as much public service work as I can. I hope to be able to use DMR in some of that work as well. KC9EZP here from North East Indiana and I’ve been on DMR for about a year with the MD-380. I have installed the TyToolz on it and like it a lot but as a starter radio I find that it is just that. I am looking to get farther into DMR and have found your video’s on the subject to be awesome at helping me. Along with the give away radio, I am also looking at getting the BlueStack unit from GigaParts so that when I travel or go camping, I wouldn’t have to do all the research into creating or adding to a code plug and would always have a DMR connection. 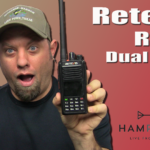 If I am the lucky winner of the Retevis RT-82 ht, I would use my MD-380 to give new or old hams the option to see what DMR is all about before putting money towards it if they decide that it is not for them. Thanks for the opportunity and hope to talk to you on DMR sometime. I have been licensed for a minute just haven’t been very active in a while. But during Harvey, I dusted off my old dual band baofeng to check the Transtar nets and listen to station reports. After Harvey, I was talking with a co-worker about the Transtar nets and he told me about DMR. Its super interesting, and now I am back enjoying my new/old hobby so I would love to get my hands on a new HT to get on the DMR nets. I just took my test Oct 14th 2017. Past my tech. and they asked if I wanted to take my General. Oh yes I said and past it also. Just got my technician ticket yesterday, and am studying for my general now. Plan to take it in November. I am new to this but do want to try DMR. KD2LQF from New Jersey, I have been a ham now for a little over 1 year (Aug 2016 received my ticket) and so for I have really enjoyed it. Currently the only radio that I own is a Baofeng Uv-82 which has done the job, but still sometimes is flawed with low audio reports which can be discouraging. I’ve been following you on youtube for sometime time now to learn more about the hobby and I have learned a lot, especially about DMR. (currently do not have a subscriber ID for DMR) and have been thinking about purchasing the MD-9600 after watching your review, but have been on the fence because I really want it with a detachable face. The Retevis RT-82 would be a great start for me to get into the digital world of ham radio, for which I still have a lot to learn. I’ll be looking foreword to more videos from you. Thanks again for all the information that you provide to new hams like myself. I’m a fairly new operator, KN4DNR, and, have been looking into DMR for a month or two. I took the time to apply for a subscriber ID in advanced in hopes to get a DMR radio, ID is 3157213. I’ve not gotten into DMR, yet, as I can’t afford a dual band handheld. You may have seen me on your YouTube with interest of the Anytone 868UV. I want one radio for all interests, so, although the TYT MD-380 (just example) is affordable and nice, I use 2m and 70cm about the same. Also, considering I don’t drive, a handheld is valuable to me while I’m out. I did find a kind operator that took me to a recent hamfest, it was my first hamfest. I didn’t find any dual band DMR radios their, though. I still enjoyed being their at my first hamfest. 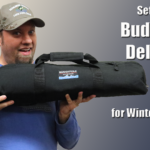 Winning a dual band DMR handheld would help me out a lot financially, practically, and, I’ve also been enjoying meeting and interacting with other people since I’ve become licensed. I never had much of a childhood (still a little young), so, radio operating has been a refreshment. Hi Jason. My name is Doug and have recently gotten involved in the DMR Systems. Here in Wisconsin, quite a few hams use DMR for coordinating events, doing security for events, etc.I have heard some very good reviews on the Retevis radios and am seriously considering acquiring one for working these events and to show the skeptics how well DMR works for voice quality, signal, etc. I have seen DMR in action and have decided that it is the way to go. Ultimately my long term goal is to also build a repeater system for DMR usage here. My current number is 3155377. 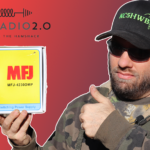 The information you give us on the hamradio 2.0 is phenominal and provides a wealth of information without all the extra hype. Keep up the good work. It’s hams like you that make the hobby thrive. I’m fifteen years old and I’ve been licensed since I was 12 under the call KD2IGD. I’ve been interested in DMR for quite a while, but the lack of dual-banders always turned me away. Now that they’re here in full force, I’ve been looking at quite a few! I’m especially interested in the Anytone D868UV, and am anxiously waiting for your next video on it. However, I’ve also been trying to get my younger brother who is 11 interested in ham radio, and have decided that promising him a radio would greatly encourage him! However, since he is not yet a ham, if I get the radio I’ll fiddle around with it, and hopefully once he passes his test, I can give it to him! If the Anytone ends up being a good radio, I’ll purchase that and then we can talk DMR simplex!! Keep up the great work! Your videos are very interesting! Big fan of your videos, learned an awful lot from watching them. Myself I am still a fairly new ham, I got my license in March of this year, 2017. I don’t currently own any form of a DMR radio. Played around with P25 once but there was no activity so I gave that up fairly quick. Have been interested in DMR for quite a long time, I have a subscriber ID, you can search for me by my callsign VA3JHO. Would love to get into it as there s few DMR repeaters and regular nets that I would be interested in joining in for. I’ll say 73 and keep up the good work! I’m pretty new to DMR. I play around with Yaesu Fusion too. Since hearing about DMR I’ve been interested since it’s a commercial mode sorta shoehorned into amateur use. I got my DMR Marc ID just prior to the Belton, TX hamfest as my goal was to buy a DMR radio there. I picked up a used MD380 at the hamfest and I’ve played with it a bit. I really want a dual bander and I have not yet settled on one. My HF station is my priority for now as far as equipment purchase, but my time is being spent on Pi-Star Hotspot tinkering with a MMDVM board. So setting it up for Fusion and DMR. If I won I’d definitely put it to good use. My town has one Fusion Repeater that I can use regularly, but there are several DMR repeaters. My name is Jeff. I’m a newly licensed ham (under 2 months, I think) and have passed tech and general class. I recently applied for a DMR radio ID, and have been playing around with a borrowed radio. When I showed my brother (15 years younger than I) that he could talk to people all over the country and world, he became interested. He’s studying for his Tech license now. I told him he’d be the youngest ham I know once he gets it! And it’s all because of DMR and it’s possibilities. Even if I don’t win the radio, thank you for the videos and helping people understand the newer technologies in ham radio. It’s not just the older guys club now! Hi Jason. I’m Kevin KN4BHM. I’m new to dmr and my ID# is 3151881. I previously had the MD-2017 and sent it back because it was malfunctioning. I miss the screen display of the 2017. This RT 82 would get me back to being back in DMR. So please include me in the contest for the RT-82. Thanks so much. Love the shows that you do for us. 73’s. Still eyeing up, that AnyTone HT though. W0JOS here. I’ve had my tech license for a few years now; several months after getting it, I decided to try something different from the corporate IT world and joined the Army – currently stationed down here in Texas. I’m interested in DMR, but without a radio, I hadn’t had a reason to register a DMR-MARC ID, until now. 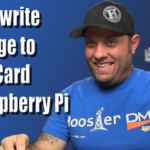 I even have a Raspberry Pi that I’m not really using, which I could set up as a hotspot. Pretty handy, since my two analog HT’s (a couple Baofeng’s = the totality of my ham gear so far) can’t really make it through the barracks walls. I didn’t enter the previous contest, as I’m not technically the “new ham” you were looking for. However, I think I meet the qualifications you gave for this one. 73’s. I watched your 117 video and as usual it was very informative. I like the Retivis RD82. I have been involved in DMR for about 3 months. I have been a ham since 2009 but have recently lost my ability to walk so I can’t get outside and put up and adjust antennas. DMR has opened up a whole new world with the new technology. My DMR ID# is 3157175. Thanks for your informative videos. My name is Chad and I’m a huge fan! I would really love to win that DMR radio. I don’t have a ID for dmr yet because I don’t own a dmr radio yet. I am very interested in using dmr and have been since I got my license. I have been licensed since June if this year so not a very long time. I have heard many people talking about dmr and I think I will like it. So far I’m only on analog vhf and uhf. I really enjoy using the repeaters but I want to try more than just normal the normal FM parts of the hobby. I’m studying for the general test and hoping to take it in December. I’m enjoying being able to help people with the great information I’m learning. Your videos are very helpful! Hopefully I’ll be able to start helping people with the dmr questions soon! I’m already a loyal fan and subscriber to your great videos! Hopefully I will win that great radio and be able to join the DMR world soon. Thanks for your videos! You help a lot of people with them. Really enjoyed the show on the dual DMR radios. I have just got my feet wet with DMR and it has been a doozy. I bought a new MD-380 and in less than a month screen went white and couldn’t get it back. Sent it back to where I bought it and waited a couple of weeks for the replacement. I have that one but am feeling a little uneasy about possibly having the same issue. Ham radio is my outlet as I am disabled and some days am housebound. Would love to try a dual band DMR to see what it is all about. Would be awesome to have a radio that can do analog and DMR on a handheld!! I got my DMR registration about 2 months before I actually got the radio. A fellow ham has been pushing me to get on. I love the audio difference on DMR versus analog. My DMR # 1117148. Keep up the good work on the reviews. Always a learning experience and great to have you showing us the ins and outs of DMR and new tech that is coming out. Jason, I have watched your videos off and on for about a year now. I thank you for sharing all the good information. I am a ham since age 13 and was Novice WN4UQI back when we could only work CW. Went dormant many years before getting the bug again thanks to Radio Shack and their HTX-202. Now just getting the DMR/digital bug. A coworker lent me his DMR HT and I played with it a while but have honestly been intimidated by the system. Only real answer is to dive right in. Thanks to you, I just applied for my DMR ID at http://DMR-MARC.net I had toyed with the thought of doing this before but was under the mistaken impression that you had to have a radio which you registered at the same time. There is a lot of stiff competition on this board and I am sure your decision will be a tough one. All I can say is good luck to all and thank you again for doing what you do! I like you videos. They are gearded towards digital voice and I am very much into it. I would not mind the Retivis radio. I would like to get into DMR. I just can not afford it right now. We have two DMR repeater in range of an ht. One is VHF and the other is UHF. So for me a dual band is the only radio that makes sense. I would like to ask have you heard of the Radioddity GD-77? Would you, could you do a review on this radio. I would like to know if it would be a good starter DMR radio. Also is tytoolz for TYT radios only or will it work on any DMR radio? Thank you for what ever information you can provide. Been checking out your channel for the last couple weeks since I got my Ham Lic in the end of Sept of this year. I have been really trying to find a good radio for myself that is still cost effective. Currently I have just a Baofeng UV-5R(have to start somewhere) and am finding out that I really can’t hit much from my home as I am too far from many of the repeaters, so I tend to use echolink. Recently I been looking at something like the TYT TH-9800 for my home but after watching many of your videos on all the TYT DMR radios I am thinking that going with DMR and using a SharkRF might be a good way to get on the air. I did also get a DMR ID which is 2124892 in preparation to getting a DMR. Out of the MD2017 & RT82 would you recommend one over the other or are they basically the same? To end this comment. I would like to add that I would love to also win this radio! I have always had an interest in tech and when i was back in boys scouts always loved hanging out by the HAM shack at the summer camp, not sure why I never took the time to get my lic then but I didn’t. Now being 31 I have some free time, even with a 3 year and 1 year old running around the house (which i hope to get both of them into one day, to have a hobby. I am clearly new to the Ham world and haven’t got into DMR at all but am really excited to soon. How i might be considered. They are really the same radio. I think I like the RT-82 a bit better, but probably only because it looks different than the MD0217, of which I have seen (literally) 1000 different units. I just like a change now and then. OK. So taking one more step RT-82 or GD-77? I am guessing you are going to say the RT-82 due to features and being able to have tytoolz on the radio. Just got my license last month and still looking into gear. That’s how I discovered your podcast and subsequently, your YouTube channel. If the drawing is still on, I’d like to throw my name in the hat. I found your video when researching DMR as something I would like to learn. As far as my subscriber ID, I just went to the site and applied for it right after viewing episode 117. Now you did it! I’m excited to try this out and have contacted one of my ham buddies in Texas to see if he would be interested in working DMR also. Even if I don’t get this radio, your show has helped me immensely! I started my reading on DMR about 3 months ago and received my DMR ID 3157293 at the end of August. Since then, I have been learning around with RTL-SDR. My initial goal is to be able to decode the DMR signal and then move on towards an OpenSpot. Thank you for Ham Radio 2.0. I have been a regular viewer since I discovered the site earlier this year. I would really like to win a new DMR/digital radio. I live in East Texas and would like to see what digital is all about out here!! My name is Curtis N5BIG and I applied for my DMR id this past weekend. I have been a ham since 1995 but haven’t been active for the past 12 years or so. I have been in LE communications for about 17 years, which has been all analog (at least for me). Now, there’s all this digital mode stuff I have to learn. WOW!!! I would love to win the HT you’re giving away so that I can learn “hands on” what all the hype is all about. Got my ID today!!! 1148911 Now to get a radio!! I have been away from Amateur Radio for a while. Just getting back on the air. Just starting to learn about DMR amd this would be a great first DMR radio to learn with. N6DEZ here, been a ham since 1996, worked with Kenwood Land Mobile in Long Beach for 3 years, Yaesu / Vertex in Cerritos for 4 years, haven’t reall y got a chance to use DMR on the AIR, still using my Kenwood TK-380 on fleetsync conventional/truncking radio with my wife on the UHF bands. I’ve already signed up and got my DMR I.D never really got a chance to purchase a DMR radio. I’ve did some research and learned it on my own, regarding programming, usage, features, and watching youtube video’s on DMR. Pretty cool feature though, reminds me of something like trunking in a digital format. Interesting how some radio’s only have Tier 1 and no Tier 2 and understanding the difference between DMR and Baofeng DPMR etc; I would like to win this DMR radio because it would be my 1st DMR I’ve ever owned. Plus my parents live in Katy Texas. hehe Great Show’s by the way. Someday I’ll have a Ham Shack like yours and will also do reviews and call it ” HamRadiosRUs ” Wishing myself good luck. Numbers ! How long is Moderation ? I’m guessing your wanting a new like new new Ham Operator regardless of newb DMR ? Not necessarily, just new to DMR. Hi Jason my name is Frank call sign KM4ZRT I received my Lic in Dec of 2016 and have been watching your videos since then and find them very helpful. I am really interested in getting into DMR and this radio would be a great start for me. Thanks for all you do in the Ham world. I would love to have that new radio to keep in the RV while i am on the Road. I just watched the show on Tuesday and the closeups on the radio keypad were perfect and CLEAN!!!!!. Why should i get radio? One word…………………………………………..nails. Thank you for all the effort you put into the show. My name is Nate Worzel. I am a fairly new technician and I just resently turned 16. In the time that I have been liscensed, I have been very active on my local repeaters in the St. Louis area. I would love to get on DMR, but I don’t have a DMR radio. Winning the RT82 would be a great help. Keep it up with the good videos! 73, KE0NNA. Hey love your site and channel! I am in races here in sonoma California and would love to pioneer DMR for my aux comms group! Heyya Jason. N4SPK here. I’ve been watching your videos for a while now. I have been a ham since 1995 & have had my DMR id for a couple years now. However I have not been able to do anything with DMR do to the lack of accessibility of DNR radios. I am totally blind & do know which ones Talk or don’t Talk or how much they give audio feedback. If you or anyone else is able to help me figure out about ones that have audio feedback can you please reach out? I’d love to be able to work DMR so that I can talk to others outside my area. I’ve never been able to do HF due to the fact I have always lived in rental property & have never been able to put up things outside. I am also hoping to get an open spot soon when I get the money up to do so. I will leave my email address here so if anyone wants to reach out & let me know on the accessibility of DMR radios newsandtraffic@gmail.com thanks for any help anyone is able or willing to give. The Connect Systems CS800 has a voice option that will tell you which channel you are on, but it just says “channel 1” or “channel 2” etc. It doesn’t say the name of the channel. I don’t know of a radio that does that. While a radio that only said a channel number is not exactly ideal, I could certainly make that work for me. I’d just have to get it programmed then keep a list of what was in each channel & figure out a way to make it to different zones. I’ve been told that the Tyt 2017 will also say channel numbers. I have not been able to verify this. Thank you for reaching out. I will keep listening. Keep up the great videos. It would be pretty nice to get my hands on the RT-82. I miss using a trackball. Jason, love your videos, your presentation makes it easy to learn, at least for me. Learning about the many areas of ham radio is one of my favorite things about radio. I am a new ham, got my General ticket in May 2017 and am currently studying for my Extra ticket. I would love to win this DMR radio and here’s why, I have been married to my wife for 35 years, while the marriage is strong and happy, in all our time together, we have never shared a hobby or interest. Some couples enjoy say, dancing or bowling or fishing or whatever. Well we just did not, things she likes, I don’t, or vice versa. Just after I got my ticket, I was sitting on the porch playing with my Baofeng HT and she sat next to me and was asking questions about radio. With my other interests or hobbies, she would just roll her eyes, shake her head and walk away. However, with ham radio, she really seems to be interested and I’m now helping her study for her Tech ticket. I think it would be great fun to get her started on a radio we won and would both be learning something from it. With hopefully retirement on the horizon, we could finish our time together doing something together. Hi Jason, my call sign is AB9JS fairly new to DMR, and would love the Retivis RT82. My DMR id is 3104641. I do have a Radioddity GD77 and have been trying to get it to work with a DV4mini, but haven’t been able to. Well I’m really wanting to get into DMR but don’t have the knowledge or the money to buy a radio:( I do watch your shows and did not see you ever tell us( viewers) where or how to get started in it without a radio! So lets start off with you giving me this radio and walk me through the ropes to get me on… I have been licensed for about 4 years! I luv building antennas and have talked all over the world with 100watts and antennas I built (most only 15′ off ground… (was one of the few that got a clean sweep on ham nations 100 episode contest). I have seen several of your podcasts but I always give up after a few minutes. Your money pandering, rambling about yourself or some other thing off target is difficult to take. Good luck reaching more people. Thanks, it seems to be working, since I now have over 10,000 subscribers. Most people don’t have your poor attitude though. Hi my name is Tammy call sign is KD7MIB. I believe my husband deserves to have this radio. My husband served in the us navy, he was injured on active duty. He is legally blind and loves ham radio. I have been wanting to get him a new radio for a long time, I work full time and live pay check to pay check. He provides emergency communications in our community when they need our help. This would make an awesome Christmas present from you.